South Korean scientists believe they have created a faster and less expensive way to use bioprinting print human skin. 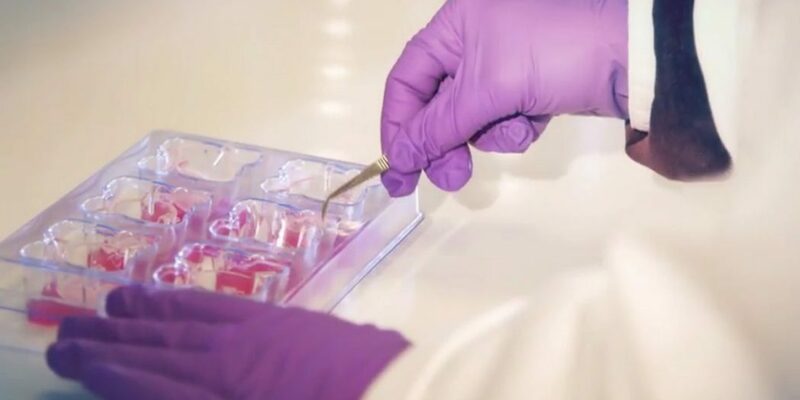 The researchers at Pohang University of Science and Technology have demonstrated a single-step 3D biopritning strategy that could be an important development for reconstructive surgeries and other medical applications. The hybrid system uses both extrusion and inkjet modules on the printer simultaneously. Using the printer, they were able to create a collagen-based material that features a polycaprolactone (PCL) membrane. PCL is a biodegradable polyester that prevents collagen contraction while the new tissue matures. The research was printed in the journal Biofabrication. The human skin model the team created includes a functional transwell system (a scaffolding) that was fabricated using the extrusion modules along with a fibroblast-populated dermis. The inkjet dispensing module distributes skin cells (keratinocytes) on the engineered skin.